The work of a salesman is to be as smooth as possible and convince you to hire the company he represents. Your work is to seek assurances that the contractor you’re about to hire can do an excellent roofing work. Before asking for the roofing estimate, let the contractor provide you with details regarding customers that he has served in the past. Check the contractor’s competence and quality of work by visiting the customers whose names he gives you. Do not let the contractor operate on a blank canvas. Explain what you want him to repair or replace on the roof of your house. Next, allow the contractor to answer a few questions that show his understanding of what you expect of him. If you need the contractor to install a new roof, test his understanding of the building codes and requirements such as tearing off the other existing layers of roofing before the new installation. 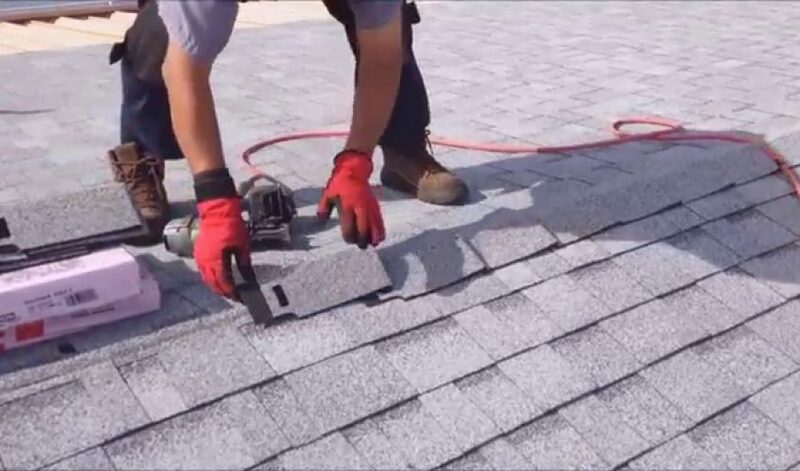 A good roofing expert should not only be great at offering all types of solutions to whatever problem a customer has with roofing Grand Rapids. The expert should indicate the state in which he intends to leave the site each day until the completion of the roofing task at hand. The contractor should only strip parts of the roof that he’ll have no problem reroofing the following day. He should clean stripped shingles and tarp open roofs. A professional contractor must have the necessary insurance covers. This protects you from paying the entire cost associated with injuries and damages suffered at the site. The contractor’s insurance should cater for all the damages and injuries that occur while he is at work. Liability cover is just as important as the workman’s compensation and the contractor must prove that his insurance is up to date. Never hire a contractor based purely on the affordability of his roofing estimate. Check the contractor’s workmanship warranty. Although the warranty that the manufacturer has is crucial, remember that it doesn’t cater for labor. All issues regarding labor are the responsibility of the contractor. The workmanship warranty of a professional and experienced contractor is between 1 and 2 years. The warranty must be in writing. Next, hire a contractor who is unafraid to sign a written contract, as this shows his commitment to the task. The contract should have details regarding the scope of the project. The contract should be clear on the types of materials that the contractor shall use for the roofing task. The date for starting and completing the roofing work should also be clear in the contract. The contractor should itemize the cost of labor and materials as well. The experience of the workers that the contractor employs is a crucial factor. Do not be afraid to ask the contractor questions regarding the qualifications and experience of workers he has employed. Check the training and skill levels of the workers. If the workers have not benefited from safety training programs, it might be wrong to hire them considering their likelihood of suffering injuries, which could delay the completion of repairs, replacements or installations. Lastly, check that the contractor has good communication skills. This way, the contractor will have no problem talking with you regularly about any aspect of the project. He will have no trouble expressing his thoughts and concerns to ensure that nothing goes wrong with the project from beginning to end. Check what other customers have to say about the contractor on Better Business Bureau. To avoid more problems, hire an expert today.